Custody can be classified as either joint custody or sole custody. As the terms imply, in joint custody situations, parents share responsibilities for the child. Sole custody means that only one parent serves as the primary decision maker or caregiver. Courts also classify custody as physical or legal. Physical custody involves caring for the child, while legal custody refers to the right of a parent to make important decisions for the child. The courts may divide legal and physical custody in several ways. For example, a mother might have sole physical custody but share joint legal custody with the father. Likewise, both parents might share legal and physical custody. How the court divides custody is ultimately determined by a family's individual circumstances and needs. Courts encourage parents to reach custody agreements and parenting plans on their own. 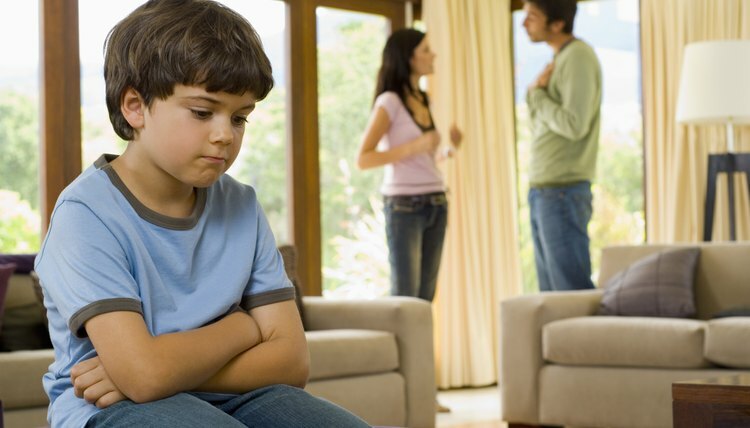 If the parents cannot agree on custody issues, the judge may require the parties to attend mediation. If the parties cannot reach a parenting agreement, the court may use a custody evaluator to assess what arrangement is in the child’s best interests. Further, in cases where parents cannot reach consensus on their own, the court will hold a hearing to determine how to divide custody. During the hearing, both parents will be allowed to call witnesses and present evidence to support their case. Ultimately, the court will look at what custody arrangement is in the best interest of the child, explains the Child Welfare Information Gateway. In making this assessment, the court will look at a number of factors, including the child’s relationship with each parent and the type of living environment each parent can provide. They will also look at the parent’s moral fitness, lifestyle and understanding of the child's needs. Each jurisdiction has different guidelines and preferences for how to divide custody between parents. Thus, it is difficult to predict who will win a custody case without knowing what court is handling the case. However, provided that both the mother and father are mentally and physically fit to parent and can provide a safe, stable home environment, the court will often choose joint legal and physical custody in the interest of preserving the child's relationship with both of his parents. If one parent is granted sole physical custody against the other parent’s wishes, the other parent may be granted visitation time or parenting time with the child. The court will determine the nature of these visits, which may range from supervised visits to overnight stays with the noncustodial parent. If parenting circumstances change—for example, if one parent remarries or gets a new job—it is possible for the court to modify an existing custody order. To consider changing custody, the parent requesting the modification will need to file a motion with the court. Further, the noncustodial parent will need to present evidence to show that a new custody arrangement is in the best interest of the child. Warren R. Shiell: What if parents cannot agree on a custody and visitation plan? Gregory S. Forman, P.C. Attorney at Law: How is Child Custody Determined?